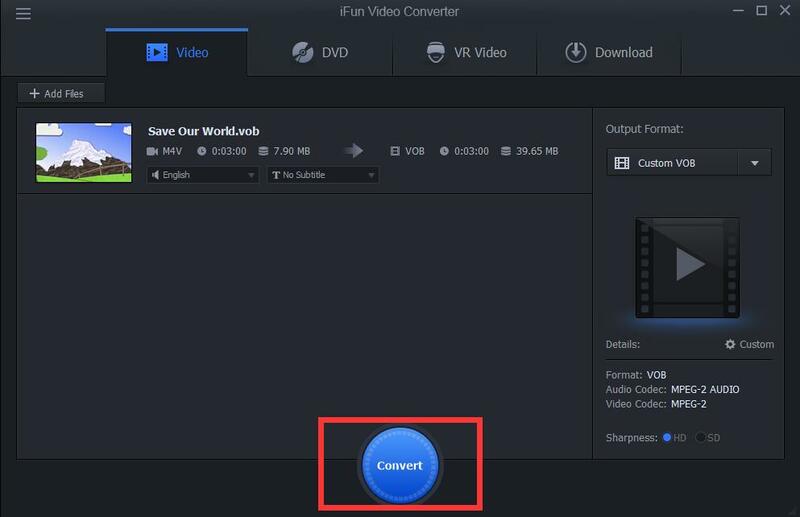 We all know that DVD files are saved with vob format and high quality for watching. To convert m4v to vob is not troublesome as long as you get the right way. 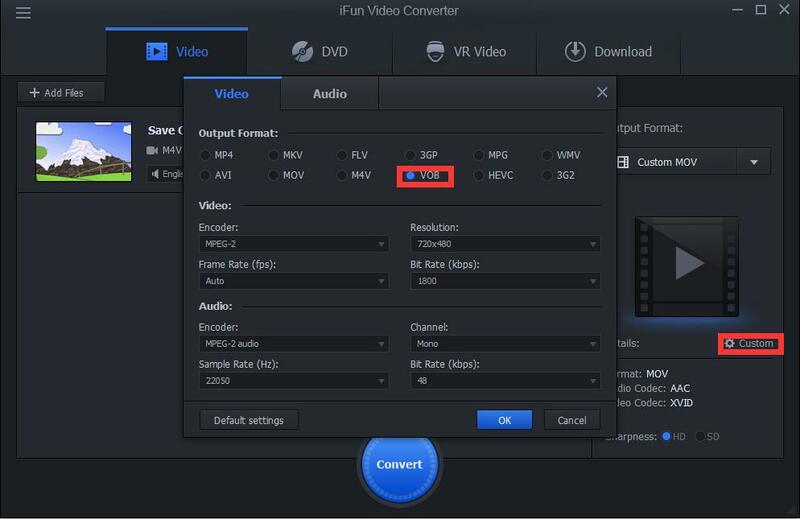 iFun Video Converter show its merits for better converting m4v to vob for burn to DVD. Here are the steps.